Not sure if solar is right for you? Incentives for solar power in Minnesota vary by utility provider. Read below or contact an All Energy Solar consultant to see what incentives are available for your solar system. Our team of dedicated professionals is waiting to assist you with every aspect of your solar energy project, from initial site visit and permitting to incentive paperwork and complete installation. 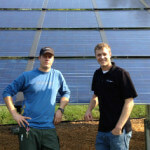 All Energy Solar owners Michael and Brian Allen grew up right here in Minnesota, in the heart of Minneapolis, and they have been building the company for over a decade. 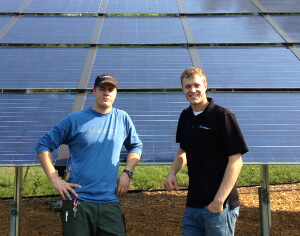 Having national experience and an all-encompassing level of expertise in the solar industry, the brothers and their team work hard to offer their customers the very best full-service solar energy integration experience possible. 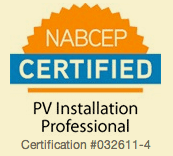 And with industry leading certifications and full electrical and building licenses, you can be assured that All Energy Solar will make your dream a reality with ease. There’s no time like the present – read below to learn what incentives may be available to you as a Minnesota resident. Available for customers of Xcel Energy. First come, first served! MN solar producers in Xcel Energy territory receive an annual rebate for solar production for the 10 years — in addition to net metering. This program offers incentives to customers for installing of PV panels and inverters listed on the California Energy Commissions (CEC) list. The PV system must be designed to produce less than 120 percent of the customer’s annual energy use, based on the past 12 months of energy use, and may have a capacity of 0.5 to 40 KW. Incentives for solar PV are performance-based, established by a system’s energy production, and paid over 10 years. Schedule a free consultation to learn how this rebate can work for you! Available for customers of Rochester, Owatonna, and Austin Public Utilities. The 2017 rebate pool is open for applications! The Conserve & $ave Rebate program offers incentives to customers of Rochester, Owatonna, and Austin Public Utilities for installing a PV system that meets the MN Dept. of Energy’s rebates requirements in addition to the utility requirements. The PV system may have a capacity of 0.5 to 10 KW. Incentives for solar PV are currently set at $0.50 per watt (based on the nameplate module rating) up to a maximum total rebate of $5,000. Other local programs may be available. Don’t hesitate to contact us to learn whether or not an incentive is available for your utility! Contact us to learn whether you local rural or municipal utility has rebates available!